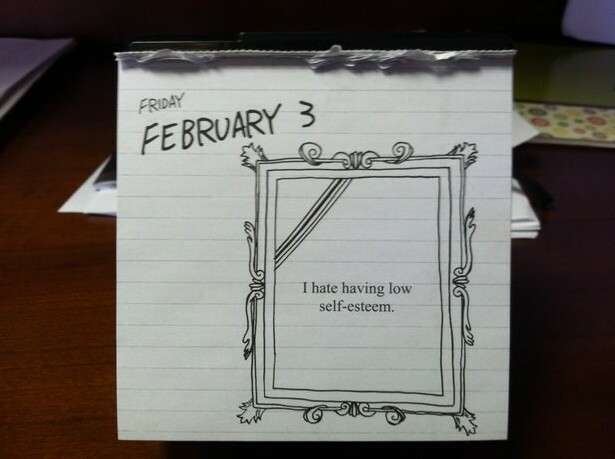 After Andi’s post last week I found it particularly amusing that this was my calendar page on Friday. And yes, G and I bought a calendar of hate to keep us entertained at work. That is all. Posted in Uncategorized and tagged hate, low self-esteem. Bookmark the permalink. What I find really humorous about this is that I thought about making a blog post about this very same thing!! I got it for Christmas! !